The ZZ plant (Zamioculcas zamifolia) is an all-around MVP of houseplants. They are beautiful, with thick waxy green leaves, and they are one of the lowest maintenance plants you can buy. They are also great air purifiers. They do well in low-medium light, watered infrequently. So if you ZZ on the ZZ plant, no worries. They are tough, and can handle neglect. To keep them happy, provide low light and water every two weeks. The indestructible ZZ Plant in one of our signature terra cotta pots. The Madagascar palm (Pachypodium lamerei, Pachypodium geayi) is one of our favorite little weirdos. It’s halfway between a cactus, with its spines, and a palm, with its leaves that arch from the crown of the plant. They hail from Madagascar, as their name implies, but aren't actually a palm species. They are a type of succulent that stores water in their fat trunk, which is where they get their scientific name, Pachypodium, or "elephant's foot". Madagascar palms is are easy to please. They require very little water, even less in the winter. It will be happy in full sun of a west- or south-facing window, where it can be forgotten for most of the year. Snake plants (Sansevieria sp.) are great for plant killers and beginners. They are virtually indestructible plants that can be neglected for weeks at a time and still look healthy. Additionally, they can survive low light levels, drought and have few pest problems. And since there's a wide variety of snake plants, with different colors, size and shape, you can mix and match to get some variety. Featured here is the ‘Laurentil’ variety, a popular choice that looks exceptional in any style of decor. We love us some pothos (Epipremnum aureum). This plant gets its name from the fact that it is almost impossible to kill and it stays green even when kept in the dark. That's a bad mamajama right there. Apart from being basically indestructible, devil's ivy is beautiful and comes in many different color varieties. It also grows quickly with little effort and is easy to propagate, if you're into that kind of thing. As it grows, pothos can trail or be trained to grow up a stake or pole. 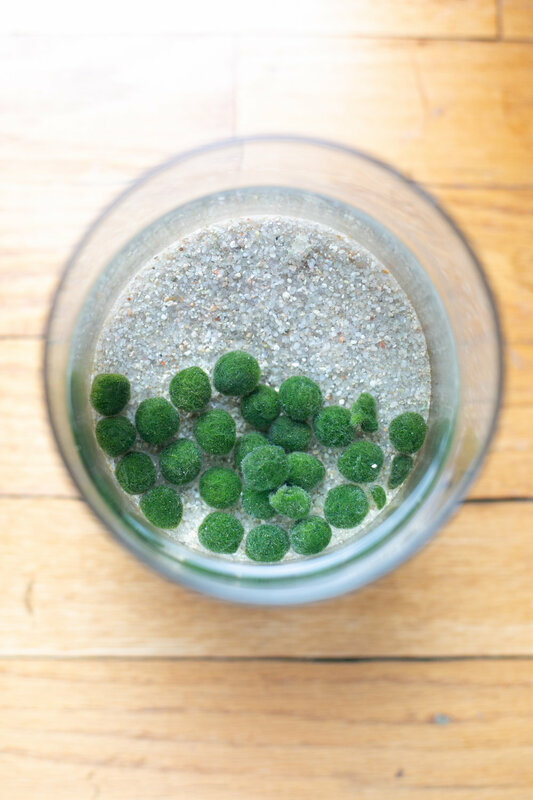 Marimo moss balls (Aegagropila linnaei) are not actually moss at all, they are a species of round algae (plant-like organism that makes energy from sunlight but lives in water) that grow on the bottom of a few fresh water lakes around the world. They make a fun statement to any room, and come in a variety of sizes. All they require is some water and a consistent cool temperature, with low, indirect light. So cute and so easy to care for - a win-win! We’ve found that plant parenthood is a lot of trial and error. Remember, you can always reach out to us here on the blog (comment below!) or on Instagram with questions about taking care of your plant fam.